The goal of this plan is to bring you from almost zero to swimming 1500 m straight in about six weeks. It is inspired by Ruth Kazez’s ZERO to 1650 in Six Weeks. An hour of swimming is a great full body workout. It burns almost as many calories as running, builds stamina and endurance, tones and strengthens the muscles, improves coordination, posture and flexibility. Due to the special environment in the water there is less impact on your bones and joints. This makes swimming accessible to a wide range of people who deal with physical issues that make other exercises less appealing. 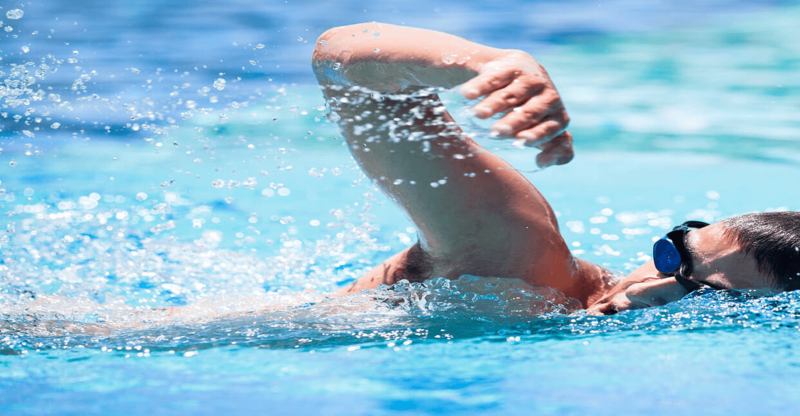 Working out alone in the water has a peaceful, stress alleviating and relaxing effect for many. Compared to the original plan our slightly modified version gives you a bit more time for some of the swimming and rest intervals.